Wingspan 16 to19 mm. 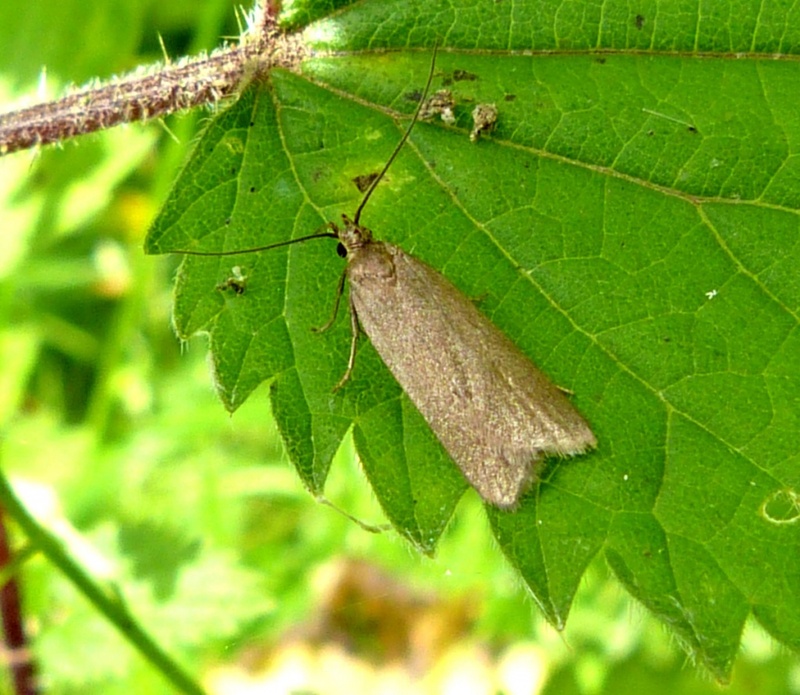 An unmarked brownish moth with long upwardly-curved labial palps. A variety of habitats, usually areas with rich vegetation or plenty of trees and bushes. Flying in June and July, it can be attracted to light. The larva is unknown, but is believed to feed on moss, often at the base of a tree. The species is widely, but thinly distributed over all of the British Isles except some of the outlying Scottish islands. In the Butterfly Conservation's Microlepidoptera Report 2011 this species was classified as local.